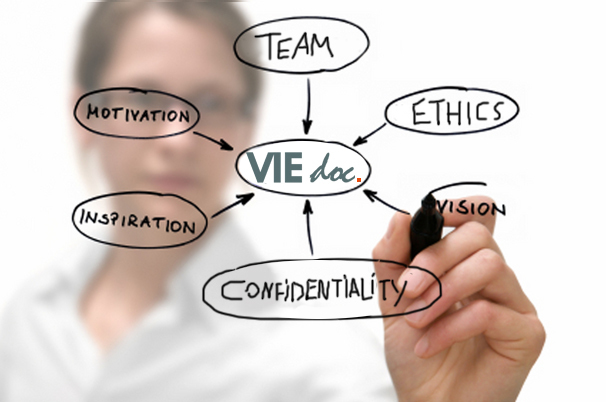 VIEDOC is fully independent from all economic special interests, industries, politics or other organizations. -Deontology: Our services are provided with the most strict sense of obligation. We ensure a constant attention to detail while pursuing our mission, always maintaining the highest standards in our methodology and in our billing practices. -Confidentiality: Ensuring the privacy of all information shared with us is our priority. We ensure full confidentiality with all trade secrets and information our clients share with us. Ensure no conflict of interest with our clients. Always behave with professionalism and integrity. Find the best approach for each project and best fulfill your requirements, always respecting laws and jurisdiction in place. Always sign a Nondisclosure Agreement for every project. Eliminate all data provided by our clients at the end of every project.